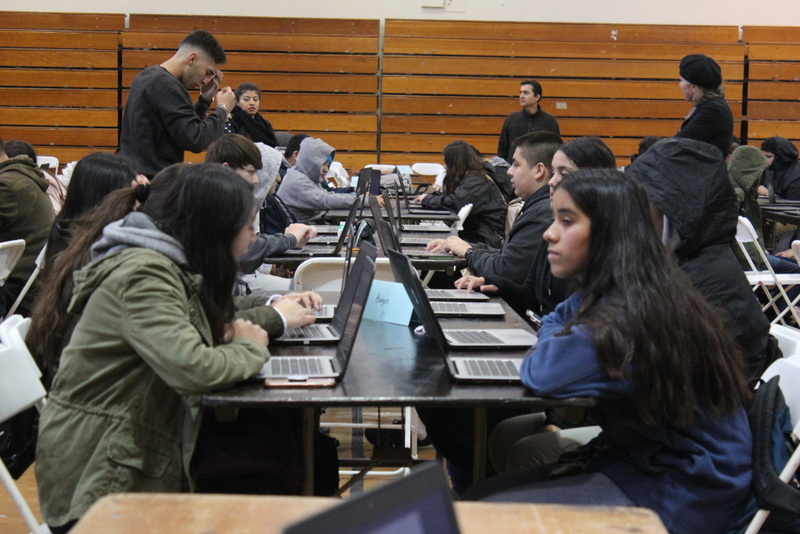 At Reseda Charter High School, students in a gym use school laptops to work on a college application program while their teachers — members of United Teachers Los Angeles — strike. Los Angeles Unified School District teachers walked off the job today for their first strike in 30 years. While they marched and walked picket lines outside, skeleton crews of administrators and aides inside kept schools running as best they could. 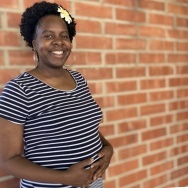 At Reseda Charter High School, an LAUSD campus, the principal said her focus was on providing as rigorous an academic experience as possible during the strike.